Well, Ackerman (whose group has raised more than $20 million from an undisclosed list of big donors, and is well on its way to gaining 50-state ballot access) must be smiling even more broadly now. 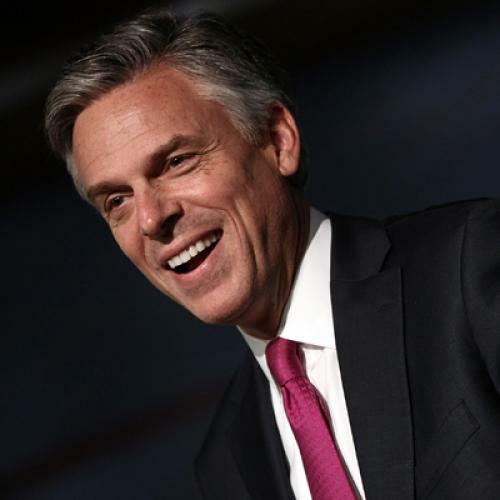 The Boston Globe's Glen Johnson asked Huntsman up front today about whether he had any plans of mounting an independent run if he doesn't get the Republican nomination, and Huntsman's denial was far from categorical. Now all they need is Hillary. She's flatly denied interest in any such thing, but Americans Elect's leadership team includes several top Hillary boosters from 2008 who could perhaps persuade her otherwise, including "Democratic" pollster Doug Schoen and Lady Lynn Forester de Rothschild, the heiress who went on a notorious anti-Obama rant after the 2008 primaries, dismissing him as an "elitist." In any case, the movement is now officially underway -- one can all but hear the grass-tops rippling in the breeze.